For its first year and a half as a public company, internet radio provider Pandora struggled to get its revenues higher than its expenses. On February 4, 2013, Pandora hired a new chief financial officer to help with the problem. That CFO was Michael Herring. Herring’s tenure got off to a shaky start. On March 7, 2013, the CEO who hired Herring, 10 year Pandora veteran Joe Kennedy, suddenly resigned. Fortunately for Herring, his original introduction to Pandora had come through board members who had worked with him in the past. So for the time being, his job was safe. Herring was named interim CEO. But Herring knew that the gig would go a way in a snap if he wasn’t able to somehow fix Pandora’s margin problems. Herring was confident he could do it. His plan was to attack the problem in the exact opposite way Pandora had be attacking it so far. Prior to Herring’s arrival, Pandora management believed its biggest problem was the amount of money it had to pay out to musicians. Like any radio station, Pandora had to pay music copyright holders a small royalty every time their songs played on its stations. Over the years, that fee had, on the aggregate, risen pretty much in lockstep with Pandora’s revenues. 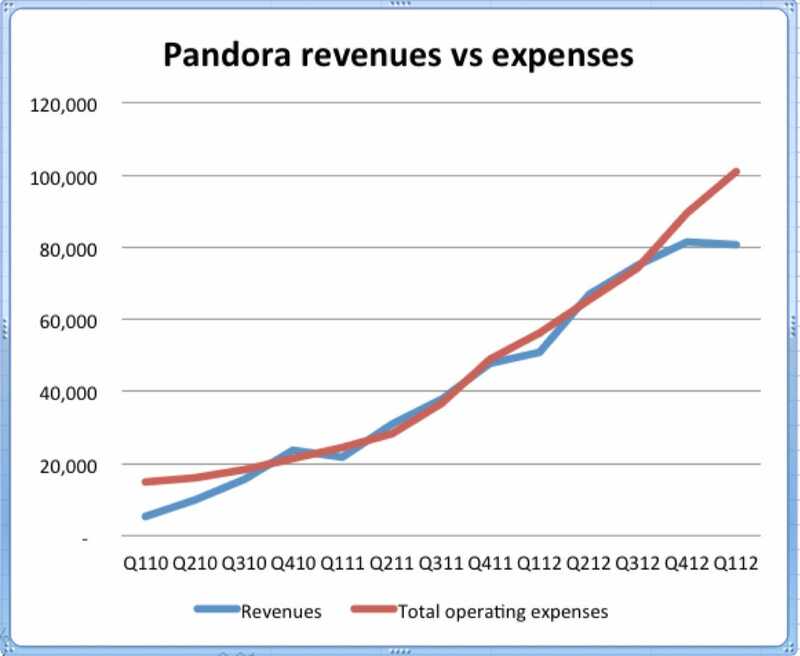 When Herring took over, Pandora was generating $US22 for every thousand streams and paying $US21 out in costs. Prior to Herring, Pandora management believed the best way to widen that $US1 gap was to fight the music copyright holders over their fees, and potentially lower Pandora’s costs. Pandora management spent a lot of time fighting the musicians for every penny. Herring believed this was a mistake. He believed Pandora’s high costs could actually be an advantage — a moat to keep competitors out of its business. He thought most of all, Pandora needed to improve its monetization. He set a cap on the number of hours non-paying Pandora users could listen per month at 40. This put a limit on the amount of advertising inventory Pandora was able to supply to advertisers. With demand from advertisers remaining steady, Pandora’s ad pricing rose. Revenue per 1,000 streams rose from $US22 to $US38. 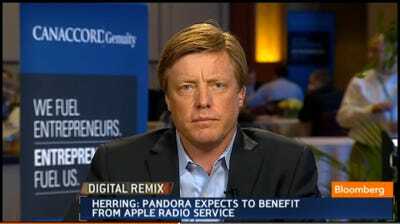 Herring took the extra revenue generated and invested it in building out a local sales force for Pandora. He put bodies in all the big local radio markets and went after Clear Channel and CBS Radio’s customers. He invested in educating the ad agencies on Pandora, and the tech needed to plug in their spreadsheets. With pricing established, Pandora removed its cap on free hours. Demand rose to meet new supply, and now generates $US44 per thousand streams. Costs are now $US22 per thousand. Nine months into Pandora’s tenure, the company hired a permanent CEO, Allan Leighton. Not Leighton. Herring remains Pandora’s CFO.